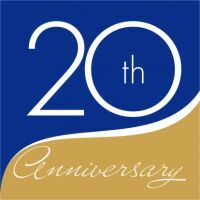 The Caspian Oil & Gas Exhibition and Conference is celebrating its 20th anniversary this year. The largest energy event in the Caspian Region, this year’s exhibition will be held from 4 to 7 June at the Baku Expo Center. Over the 20 years since its launch as the first specialised exhibition of its kind in Azerbaijan, Caspian Oil & Gas has become a key industry forum. It brings together professionals and leaders of the sector from around the world to present advanced technologies for extracting and processing oil and gas, transport and logistics, and services. This anniversary falls on a significant date – it is 90 years since the birth of Heydar Aliyev, Azerbaijan’s National Leader who was at the forefront of the event’s foundation. Supported since its launch by the Ministry of Industry and Energy of Azerbaijan and the State Oil Company of Azerbaijan Republic (SOCAR), the event’s importance is underlined by annual participation in its opening ceremony from the President of Azerbaijan, Ilham Aliyev. Over 40% of exhibition space at Caspian Oil & Gas is taken up by leading organisations such as SOCAR, BP, OMV, Total, Statoil, Petkim, TPAO, RWE and many others. National groups from Germany, China and Russia are also regular participants. Newcomers include US firms and Ukraine’s national gas company. The General Sponsor of Caspian Oil & Gas 2013 is SOCAR, the Gold Sponsor is BP Azerbaijan, and other sponsors of the exhibition include Azfen-Tekfen, Bos Shelf, Caspian Drilling Company, Caspian Marine Services, Nobel Oil, Azeri MI Drilling Fluids, Cross Caspian Oil and Gas Logistics, McDermott Caspian Contractors, Inc. and Global Energy Azerbaijan. The regular Caspian Oil & Gas Conference will take place on 5 and 6 June at the Jumeirah Bilgah Beach Hotel. Presentations from key oil and gas players will examine international cooperation in increasing extraction levels; diversifying supply; using innovation in constructing offshore platforms, drilling rigs and offshore pipelines; and new projects for extraction and transportation of oil and gas in the Caspian region. Over 500 delegates are expected at the conference. The General Sponsor of the conference is SOCAR, the Gold Sponsor is BP Azerbaijan, and other sponsors of the conference include Caspian Geophysical JV, Cross Caspian Oil and Gas Logistics, and Nobel Oil. A series of special events to mark the event’s 20th anniversary have been planned by the organisers, ITE Group and Iteca Caspian.